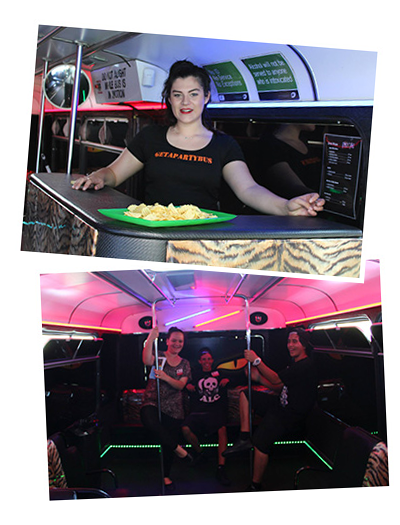 Party Rescue 911 has a great mix of themed party buses that will suit your guests and your wallet have a look at wicked pimped out party buses all with their own special qualities. 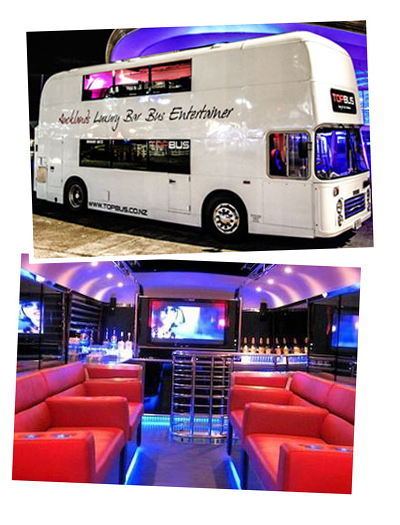 All our party buses are fully licensed bars no lame school buses here. Features: Karaoke, drop down windows, on board toilet, Bose sound system, TV screens, Jacuzzi, sun roof, party lights 36 passengers 40 kids fun staff. Two fully licensed matching party buses. 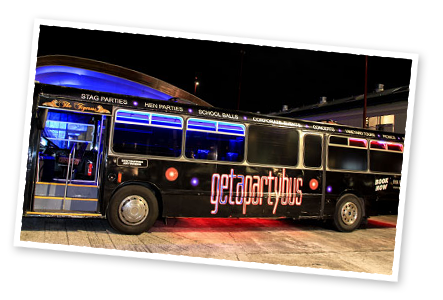 Features: Themed green seating, huge dance floor, neon lights, stripper poles, party lights, big sound system, awesome staff 25 passengers. Features: Tiger print seats, neon lights, flashing, lights, stripper poles, HUGE dance floor, big sounds, on board toilet, cool staff and drivers 40 passengers. 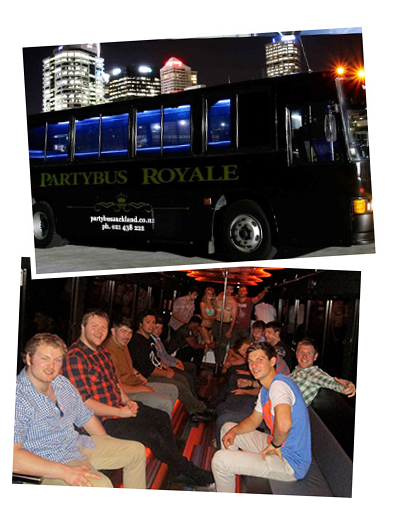 Features: Stripper poles, neon lights, party lights, big sound system, on board washroom, TV screens best staff around.